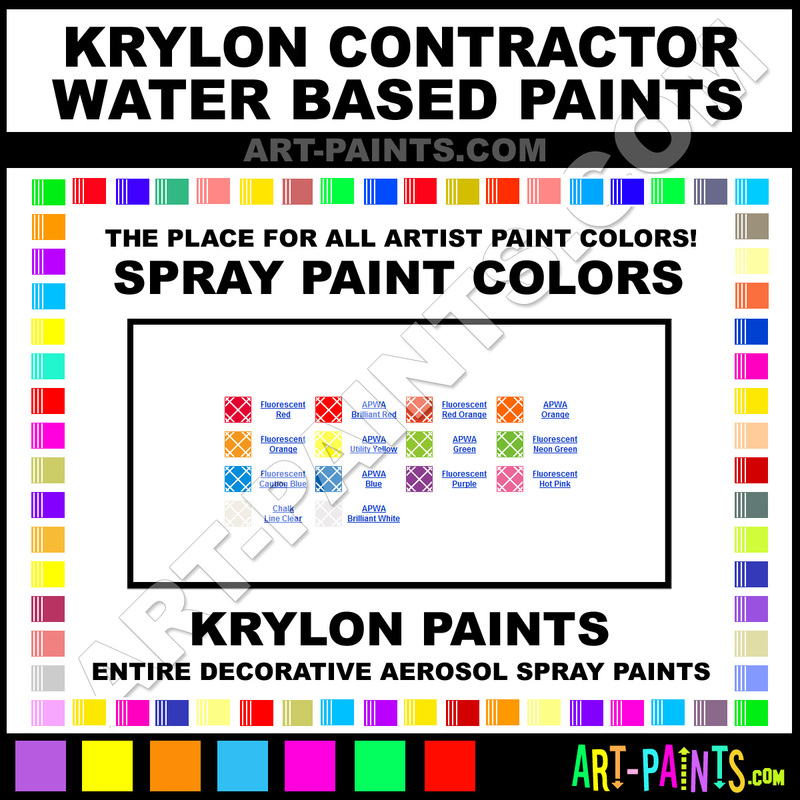 Krylon makes a beautiful Contractor Water Based Paint Brand. With a complete line of Spray Paint Colors, 14 colors in all, Great for Decorative Art Work or Graffiti, these Aerosol Paints are available in beautiful hues and colors, they will no doubt keep you painting and smiling at the same time. This brand is very unique and exquisite!